Connex for QuickBooks is a commercial plugin for QuickBooks desktop Pro, Premier, Wholesale and Manufacturing or Enterprise editions that syncs selected purchase and contact information from ONTRAPORT into QuickBooks. Connex for QuickBooks supports QuickBooks in the U.S. and Canada. Note: Because ONTRAPORT does not have a Product SKU field, you must manually update QuickBooks to map the Product Name to the QuickBooks SKU field. Click the profile icon at the top right in your ONTRAPORT Plus or above account. If you receive the API Application form, fill it out and submit it, then return here when you get approval. In most cases you will receive instant access to the API keys without filling out the form. 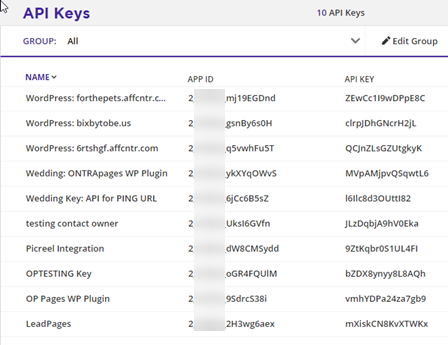 Name the API Key. Select the Contact Owner and check off all Permissions for Connex for QuickBooks. Click Save. Review the Connex for QuickBooks Setup steps first. 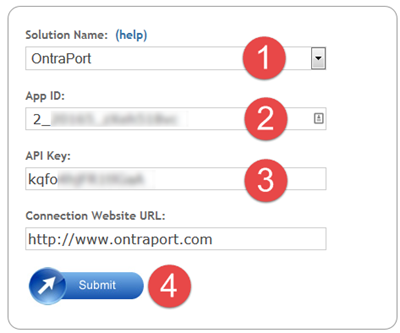 Step 2, "Pair your connection" is where you will identify ONTRAPORT as the integration option. 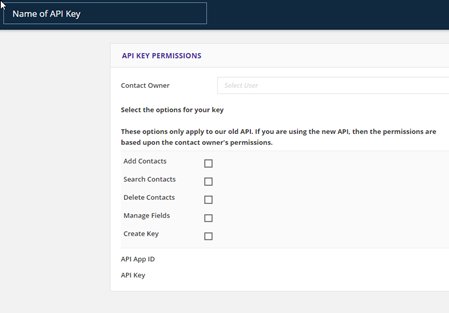 Fill the required App ID and API Key fields with the information obtained in step 5 of Obtaining the API Key and App ID section. 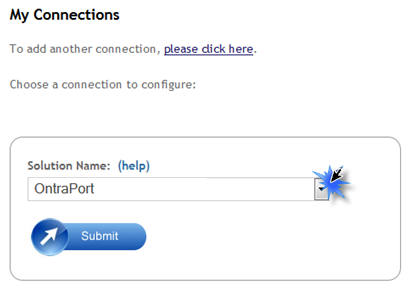 After pairing your connection with ONTRAPORT follow the rest of the directions in "Pair QuickBooks using Intuit Web Connector". Q. Does the API connection allow Connex for QuickBooks to see my account details? A. No, the API allows Connex for Quickbooks to transfer Contact and sales data between ONTRAPORT and QuickBooks. None of your confidential information is shared via the API. Contact credit card numbers are also not exposed via the API. Q. Where can I find more about the operation of Connex for QuickBooks? A. See the Connex for QuickBooks Support Articles.